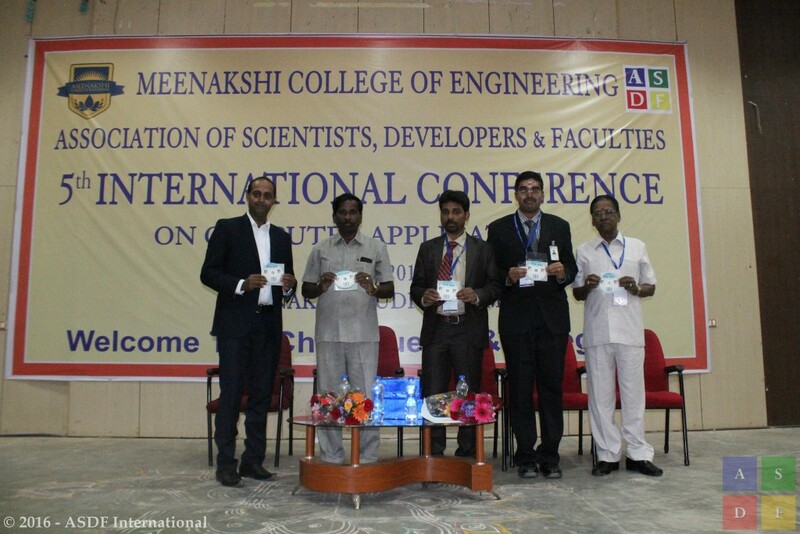 The 5th International Conference on Computer Applications ICCA 2016, happened at Meenakshi College of Engineering, KK Nagar, Chennai brought researchers, scientists, engineers and research scholar together to exchange and share their experiences, new ideas and the research outcome of all possible aspects of Computer Applications in Database, Networks, Telecom and Management on 9th April, 2016. The networking has been experiencing a drastic development these days; networking is a segment which can’t be operated especially without the impact of Computer. The second is the telecom industry, where each and every nodal and cluster operations are managed using the computers. The third is the management, without management it’s difficult to run a computer application and is vice versa. So, considering the recent advancements and others the conference tiled has been selected. The event was graciously inaugurated in the presence of Dr. S. Purushothaman, ISRO, Bangalore and Dr. K. Kokula Krishna Hari, Secretary General, ASDF along with Dr. G. Gunasekaran, Principal, Meenakshi College of Engineering, Mr. B. K. Chellapan, CEO of Meenakshi Ammal Trust and Dr. B. Karthick, Placement Director, Meenakshi College of Engineering, Chennai on 9th April, 2016.